With a perfectly baked base, a swirl of delicious frosting and topped with a smorgasbord of decorations and finishing touches, you really can’t beat a good cupcake can you? 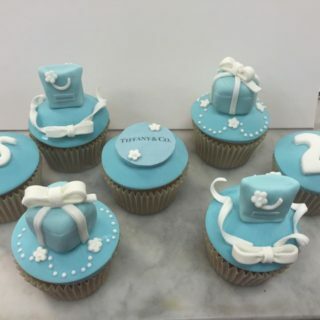 Superior to one big cake thanks to their individual portions, cupcakes make the perfect addition to a birthday party, leaving do, wedding or baby shower. 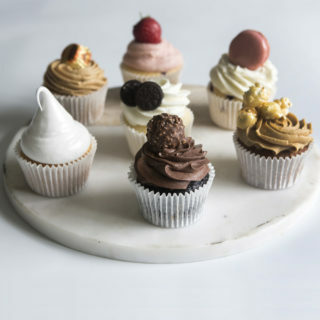 And if your mouth is watering at the thought then here are a few places in the Midlands that do great cupcakes. 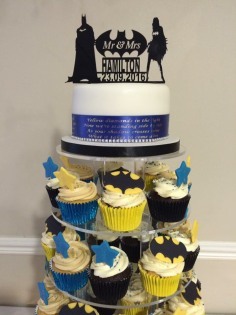 Based in Romsley, The Dotty Bakery is a great place for cupcakes in the West Midlands. Offering cupcakes for a range of occasions from birthdays to sporting events, they even sell giant cupcakes to combine everyone’s love of both! 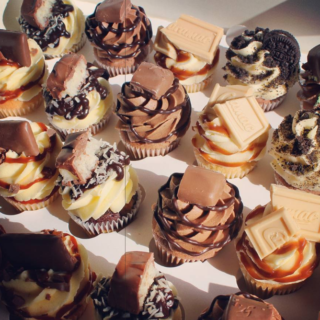 Cupcakes Forever, as the name suggests, are dedicated to this fine variety of cake and their speciality really shows. If you want to mix it up at your next event and go for a centrepiece that will really wow your guests then get yourself one of their cupcake towers. Pretty and tasty – an epic combination. If you want cupcakes that look super professional and slick then head to Strawberry Cupcakes in Nottingham. Perfect for a corporate event or wedding, they have a number of flavours that come finished with pipette of extra flavour. They also do cake pops and macarons too, so all your cake needs are taken care of. Catering to a number of different events, Devine Cakes offer cupcakes that are not only fresh and yummy, but also suitable for everyone. With gluten free options available, all your guests will be able to have a piece of the action. For those of you in Leicester, you’ll want to head down to Oh So Bakery. 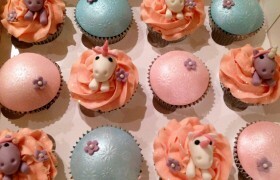 They make cupcakes for baby showers, weddings and corporate events, and even offer a ‘free from’ range too. Their seasonal styles are perfect for a Halloween Party or Bonfire Night do, and for those with a smaller appetite, they have a mini range too!